A new Fitbit is Coming and it is Reminiscent of the Pebble Time! This morning I read on Wareable that Fitbit is coming out with a new smartwatch very soon and Wareable has the leaked images and insider information on it. Just a couple of weeks ago I was writing about how I thought Fitbit should take advantage of what was so good about Pebble watches (Fitbit purchased the company) and incorporate those features into a Fitbit and it looks like they might have! 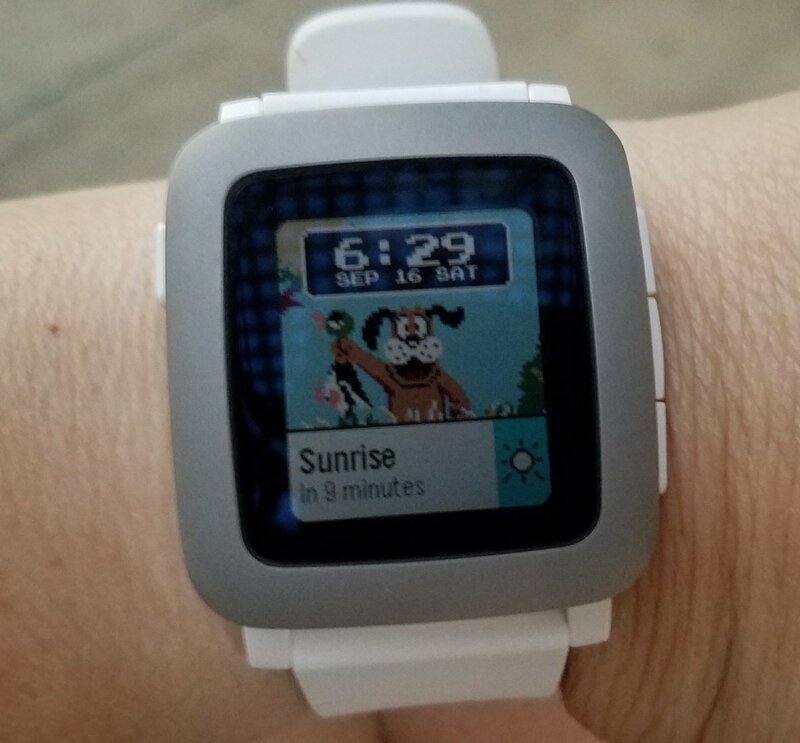 The look of the watch which might be the replacement or continuation of the Fitbit Blaze is similar in appearance to the Pebble Time and of course will be equipped with Fitbit’s health tracking abilities. According to Wareable, it won’t have a built-in GPS though. Well, it’s going to have to wow me in other ways to make up for that but if it has some of those great features that the Pebble had, like being able to respond to text messages by voice then I’ll be one happy camper. By looking at the leaked photos, I don’t see a mic however. Darn. Well, maybe it’ll have something else to entice me, like a long battery life and advanced health metrics. I really think this watch has a very good chance of becoming a big seller for Fitbit. People have been practically begging Fitbit to make a watch like this for years. It looks to be much more appealing in size and appearance than the Ionic or really any of Fitbit’s devices for that matter. Women are going to love this thing if it functions as well as it looks. This is one Fitbit I will definitely be reviewing and it’s supposed to be announced soon. Check out the article on Wareable for more details and those leaked images.